This shower gel has a beautiful citrus scent to it making it perfect for a refreshing shower during those hot months! Also it’s so cheap at £4.50. This facial spray is perfect for holiday. It has a orange scent to it and feels cooling. It hydrates the skin which is super important while making the skin look happy and bright. I use this on my freshly shaved legs too for extra hydration and to make my legs look smooth and bright. I swear by body shops body butters. The coconut one is brill for those holidays. Keeps skin extra soft while smelling like a tropical dream…. nom ! As we all know spf is essential. One thing you should never forget to do is apply spf all over. Your face being no exception. If like me, you are forgetful (whoops!) use a facial lotion with spf after washing your face. This one is good for my oily skin. Keeps my skin soft and protected from the sun with out blocking my pores. I like to take wipes with me on holiday as me and ice cream make a mess, I am one messy eater ! It’s good to have wipes handy to freshen up whenever needed. These ones smell like the name suggests which I think is amazing! I lost my Lush virginity yesterday, I know, what took me so long. Stop judging me! 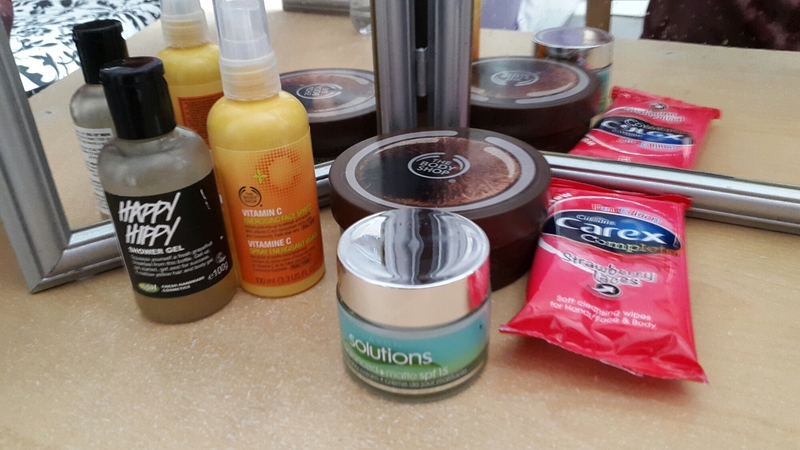 It was overwhelming at first, the bright colours, the scents and all the different products. 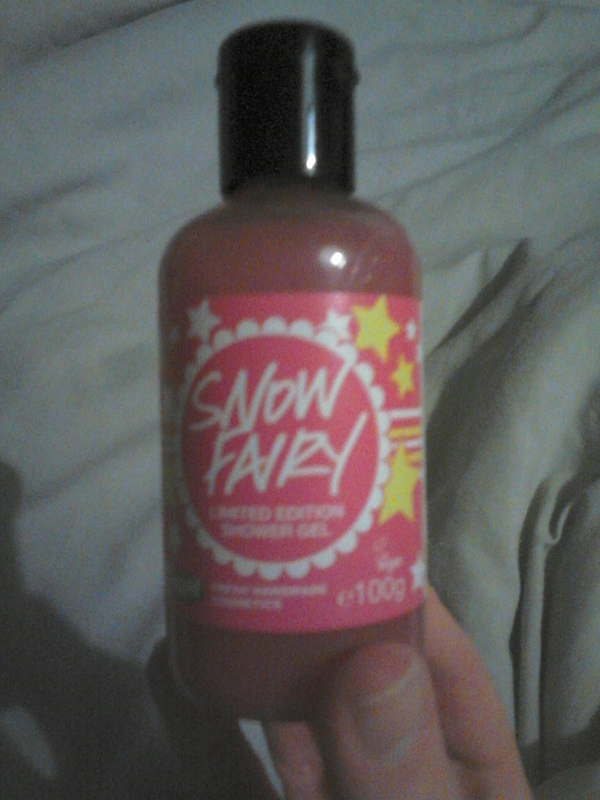 Luckily a lovely lady helped me pick out snow fairy shower gel along with space girl and cinders bath bombs plus bubblegum Lip scrub (reviews to follow). Let me say.. The packaging and colour of this product is so beautiful and bright! I love it. The scent reminds me of candy floss which brings back memories of trips to the carnival. I feel it was cheap at £3.75 for 100 ml. The gel was so soft on the skin, the scent was really strong but not over powering. It was a dream to use. My skin feels soft after which is great! As I write this my skin and bathroom smell delicious. What’s not to love?